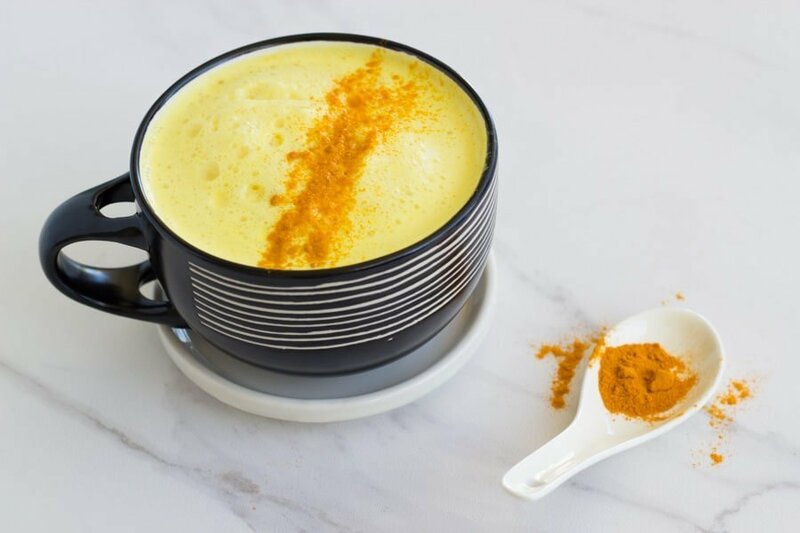 Golden turmeric lattes are amazing and full of so many health benefits. This dairy free version is the BEST! I only discovered Golden Turmeric Lattes recently. I had heard about them but had never tried one. So when I recently visited my local health food store ‘Newstead Organics’ I decided to try one. I have been a fan ever since! 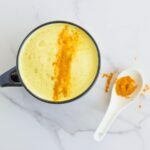 Whenever I do a gut cleanse, coffee is one of the first things that has to go, so these golden lattes as well as turmeric hot chocolates and matcha lattes become my go-to morning drinks. They are really amazing and if you have not tried one, then you have to try my recipe. 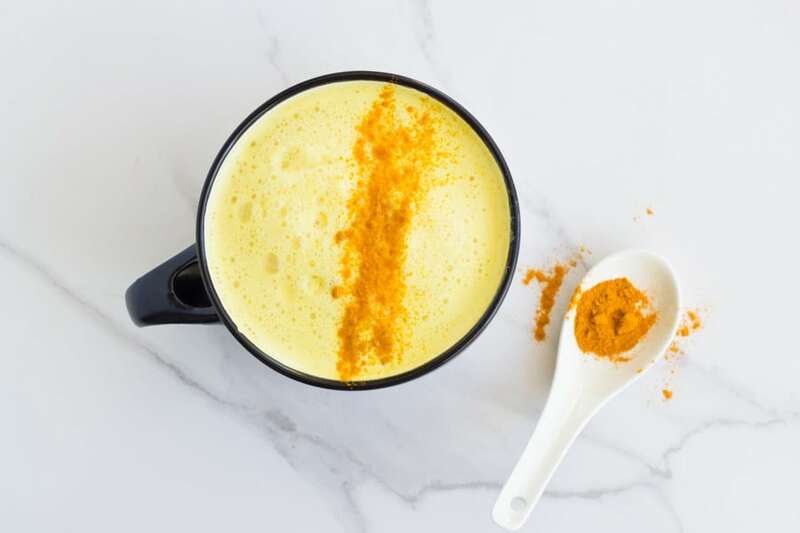 Plus, turmeric has amazing anti-inflammatory, anti-bacterial and gastrointestinal health benefits, largely due to curcumin, which is an antioxidant, which gives turmeric its golden colour. 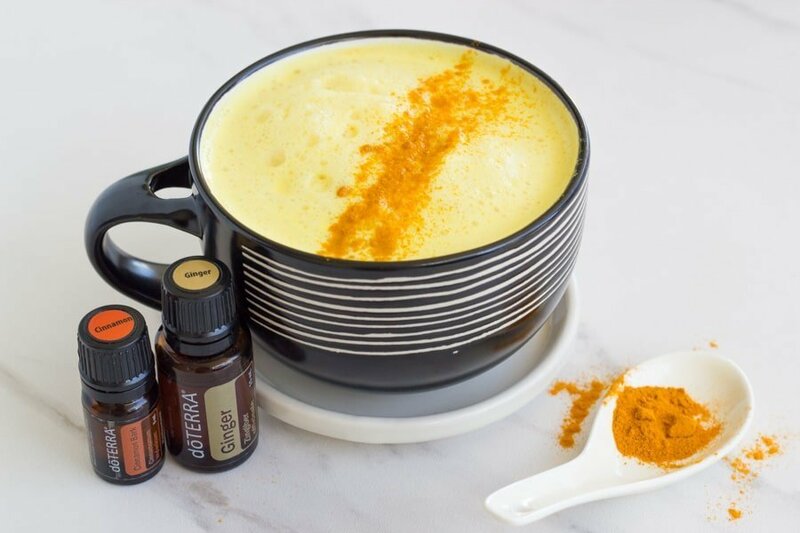 In addition to the turmeric, I use ginger and cinnamon essential oils to add to the flavour and also to provide some additional health benefits. Ginger oil is is great for supporting gut health and Cinnamon oil supports a healthy metabolic function as well as maintaining a healthy immune system. 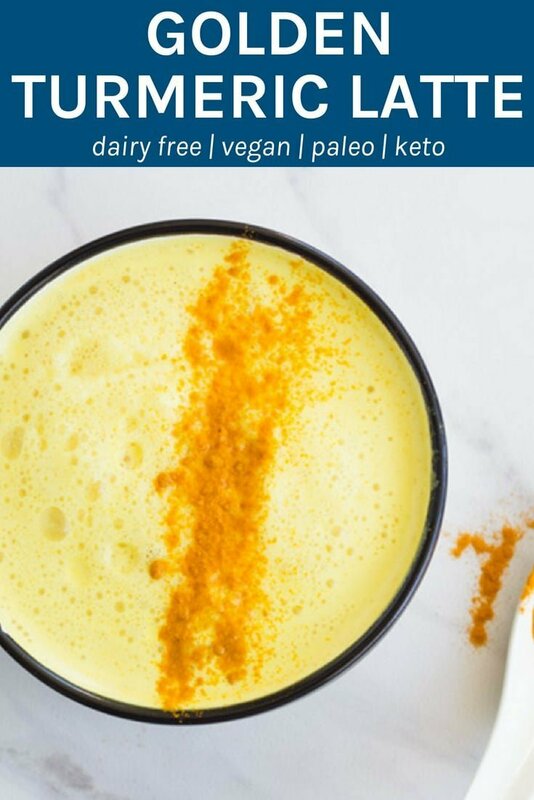 The combination of the turmeric, ginger and cinnamon are a big winner! 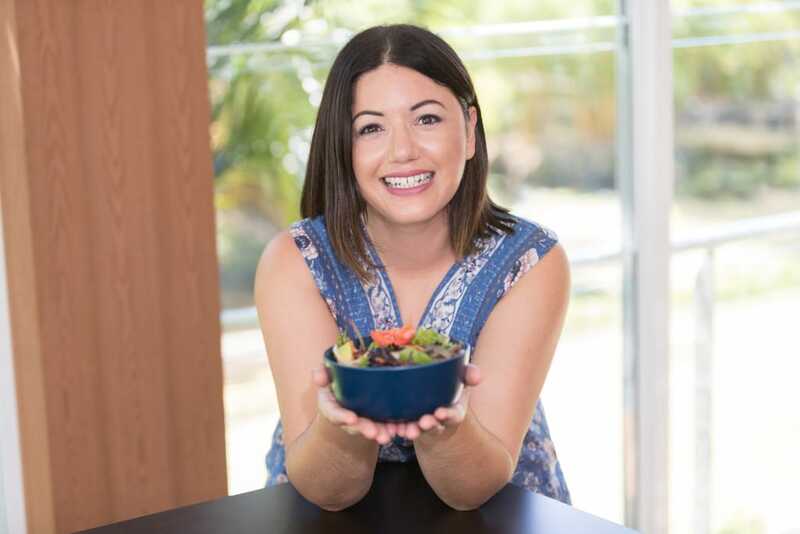 I usually make my lattes in my Thermomix, but I have also included the regular method in the recipes as well as alternatives if you do not own essential oils. Add the remaining ingredients and mix for 30 seconds/speed 8 until nice and frothy. Heat the almond in a small saucepan on medium heat for 2-3 minutes or until just warmed. Add the remaining ingredients and whisk until frothy.